Not many academic institutions have Mascots named after famous jazz musicians, but that’s exactly the situation at Boston-based Berklee College of Music, where Mingus the Jazz Cat reigns supreme and where another great jazz musician, Duke Ellington, received the school’s first honorary doctorate in 1971. Some 228 honorary doctorates later, the highly regarded institution draws talent from 100 countries around the world, who can choose to study at either the main Boston conservatory, the newly completed New York City school, the school’s Valencia, Spain, location, or Berklee Online. Founded in 1945 by MIT-educated engineer, Lawrence Berk—who also was a pianist, composer, and music arranger—the Berklee College of Music has been instrumental in teaching all aspects of music—from theory to composition to scoring and arranging, to name a few of the many disciplines the school offers—to serious students of music. Ranked fourth in “The 20 Best Music Conservatories in the United States,” Berklee College of Music is renowned for its 70-year history leading the field of contemporary music education. Its mission, “To educate, train, and develop students to excel in music as a career,” has earned Berklee College of Music a solid reputation as a “learning lab for the music of today—and tomorrow,” attracting working musicians to join its faculty. Among its famous alumni, the College lists Quincy Jones, Keith Jarrett, film composer Howard Shore, and countless winners of Grammy, Oscar, and Tony awards. Based on its current endowment of $321 million, student enrollment of 4,131—making it one of the largest US-based music conservatories—and an academic staff of 522, the Berklee College of Music is succeeding in its mission. Students today can choose to earn various certificates, or Bachelor’s and Master’s degrees in programs as diverse as songwriting, general music performance, music management, music teacher education, and music therapy. Not surprisingly, outreach plays an important role in the operation of this renowned institution. For that reason, Berklee College of Music chose Continuant to maintain and support its Unify OpenScape Contact Center and Siemens PBX at its Boston and Valencia, Spain, locations. 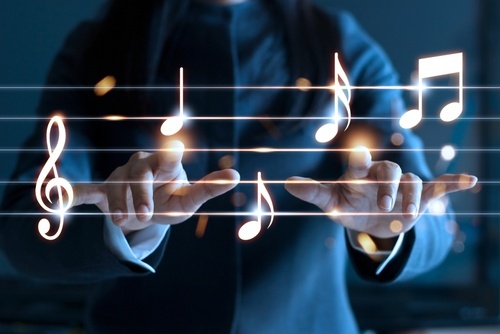 While the music college has no immediate plans to migrate to a UC solution, Continuant has become a trusted advisor—continuing to strike the right chord in the realm of service and support for this top institution.